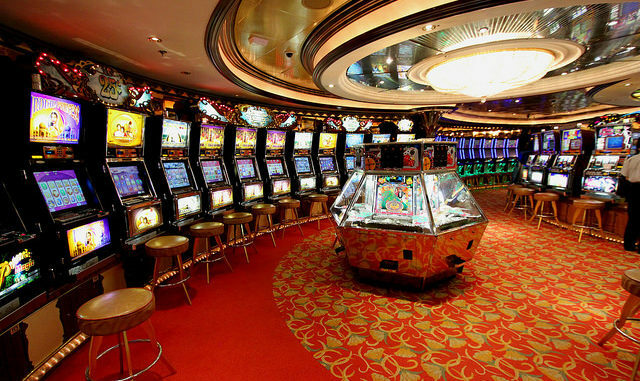 Gambling gamblers who got paid out on a bet on gamblers who gambled by financing other gamblers is the most interesting story right now. But first, GE’s slow motion crumble continues. There was a great Wall Street Journal longform this weekend about the fall of General Electric (GE Powered the American Century, then it burned out. WSJ Dec 16/ 2017) (NYSE:GE). It was a fascinating profile of an icon of American business and industry who evolved with a changing landscape for a hundred years until finally falling apart. Down the stretch, they appear to have bled themselves dry trying to keep Wall St. happy with dividends and buybacks, only to end up cutting the dividend all the way down cuz there was nothing left. 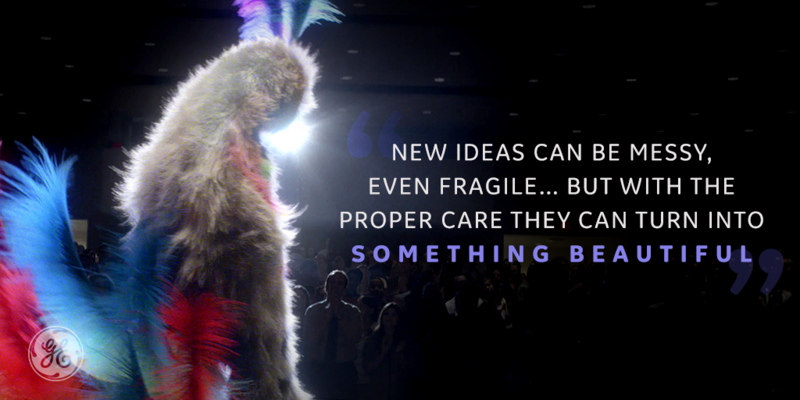 I always found those commercials that they ran about “welcoming ideas” featuring a destitute looking friendly feathered creature, to be either out of touch or an insult to my intelligence. Enormous industrial conglomerates who cater to income investors aren’t in the bold innovation business. They’re in the producing money business. Chalk it up as a response to an Apple-infected Zeitgeist. Did anyone buy that? …but a similar volume-out-of-nowhere pattern a couple of spots down the list stood out. Fountain Asset Corp. (TSX.V:FA), bills themselves as a merchant bank that trades in venture stage assets, many of them public. FA traded by appointment too, until last Wednesday when they did 2 million shares out of nowhere. 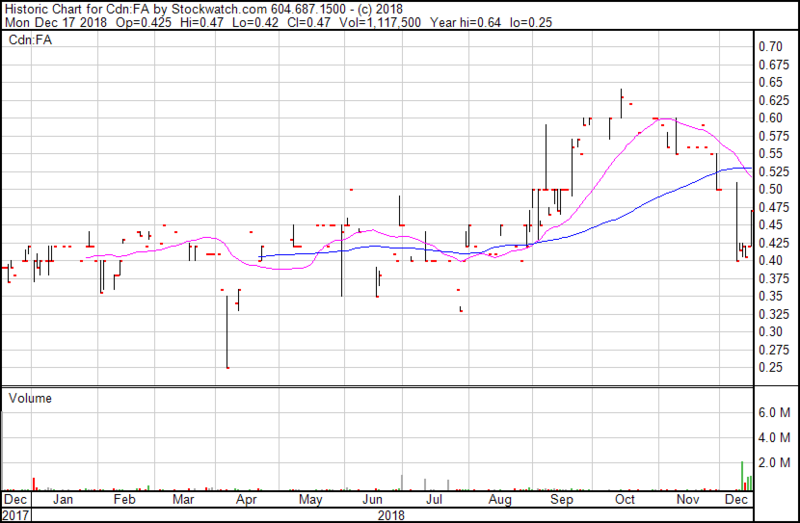 The volume carried on throughout the week, and continued on today, when they had done 1 million shares at close. This pulse came suddenly, on no news. The last time FA was on the wire was Nov 29th, 2018, when management and directors issued themselves some $0.505 options. 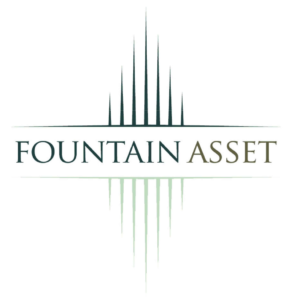 Fountain Assets closed at $0.47 today, up $0.05, on 1.1 million shares in volume. This company is the kind of alpha-seeking meta-bet that gets FH’s attention. Fountain owns a bit of real estate and a few private holdings, but mostly makes convertible loans or does financings with venture-stage companies in all sorts of sectors. They don’t appear to be too picky; just a crew of Toronto traders looking for a lift. Listed among their non arms-length holdings is Liberty Health (CNSX:LHS), who tripped and fell the other day on their association to the Aphria. FA showed a $5.7 million profit in the quarter ending September 30th, 2018 (though $1.8 million of it was on paper) and it looks like some of that lift came from unloading some HEXO (TSX:HEXO), but they own all kinds of stuff, including Integrity Gaming Corp., who readers might remember from earlier in this section. 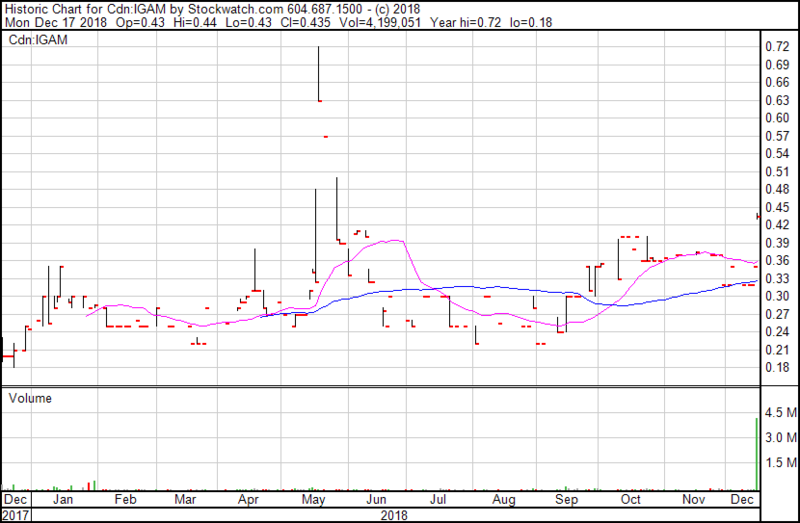 Fountain appears to have bought $2.8 million worth of IGAM some time between Sep 30, 2017, and Dec 31, 2017, which puts their cost somewhere between $0.18 and $0.32. Splitting the difference at $0.25, we can assume a $0.21/share profit from today’s cash buyout; that’s $2.3 million – almost half way to last quarter’s number, and 8.5% of FA’s total market cap on today’s close. The IGAM position was listed as Fountain’s most costly on their most recent financials (though many did not list a cost), so they’re going to be happy with a cash payout on that one. 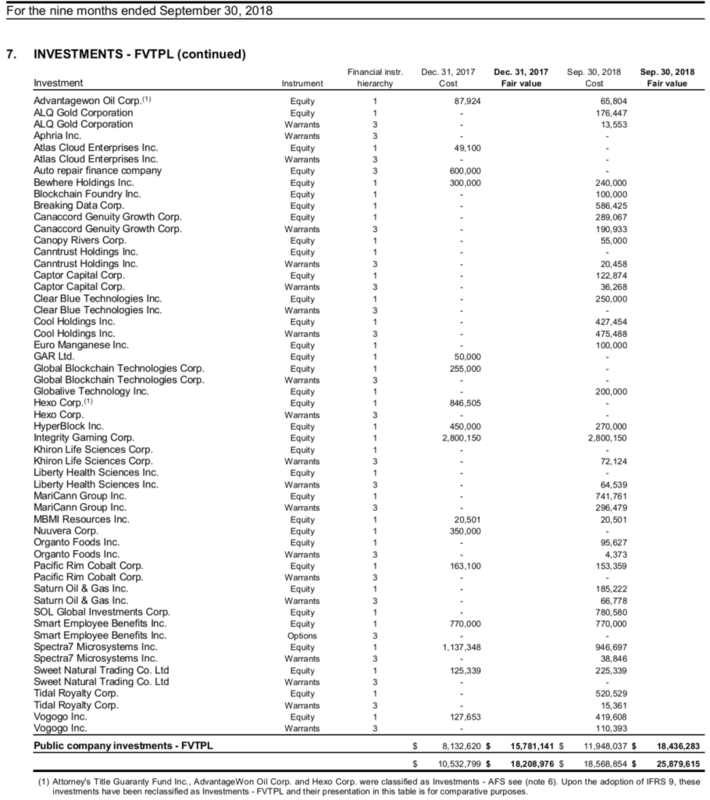 View a list of Fountain Assets’ assets in their Sep 30 financial statements here. Still no “rebuttal” from Aphria (NYSE:APHA)(TSX:APHA). The sense in the forums is that the committee of independent directors reviewing previous transactions is huddled with the new battalion of lawyers, coming up with something that won’t get them in hot water, but FH’s guess is that it isn’t quite that complicated: it’s just hard to say they’re sorry in a believable way. This thing is in the unique position of having a cult following of analyst heads who are still true-believers in their core business, but still absolutely PISSED. As near as we can tell, there’s no legit fraud beef here, just a lingering jilted feeling left over from knowing that management and directors were in on the seed rounds of the foreign license assets before APH bought them at a huge premium. The idea that those assets might be worth $185MM – $245MM in stock (depending on who’s counting) isn’t even that hard to sell. Potco longs are inclined to believe investments at an inflated valuation will bear fruit when they reach a hyper-inflated valuation. Investors aren’t mad they paid too much, they’re mad they weren’t invited to the foundation party. If APH’s management can put together valuable foreign pot assets on the cheap, why aren’t they sending teams abroad to do it on behalf of the shareholders? That would go over a lot better than doing it themselves with some Florida shell factory, then using the treasury to make themselves an exit transaction. It’s hard to imagine any rebuttal that would make shareholders believe APH is acting in their best interest. The quickest solution would be new management, but the more likely and immediate one will be the quarterly report. APH’s quarter ended November 30th. They’re scheduled to be the first company to report in the Canadian legal rec era. According to our analysis, they’re the company with the most strains available in a market that is having trouble with supply. We don’t know what they’re doing for volume, but we’re anxious to find out. Releasing sales numbers that remind the street that their core Canadian business is doing just fine might cool the sting and give Aph a lift, but the trust issue wouldn’t go away. It would just get buried. If a month and a half of rec sales don’t make a difference in APHA’s earnings, look for the knives to come out, because there’s still plenty of meat at Aphria. Is Namaste’s innovation premium running thin?